I’m looking at buying one of these but I don’t have a clue how it fits, and if it will fit what I have already. Could someone shed some light on it please? Replied by Scimike on topic Spare wheel middle cover. I believe your spare wheel mount should have on of these fitted, onto which the cover bolts. It should be located on the centre of the spare wheel. I have one for a £5 plus postage if you need one. 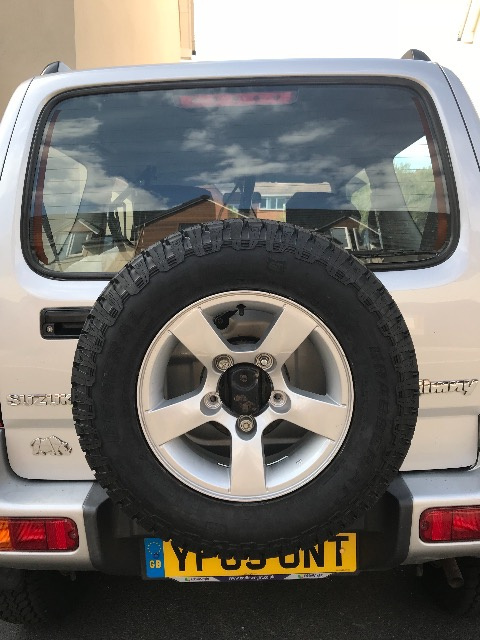 Unable to suggest more as my Jimny does not have the cover so removed mount, no want to fit the cover as I like looking at the alloy wheel more. Last edit: 11 Sep 2018 19:02 by Scimike. Replied by eddlane on topic Spare wheel middle cover. Yeh in the middle of my spare wheel I have that, two threaded bolts with nothing on? You can just about see it if you zoom my picture. 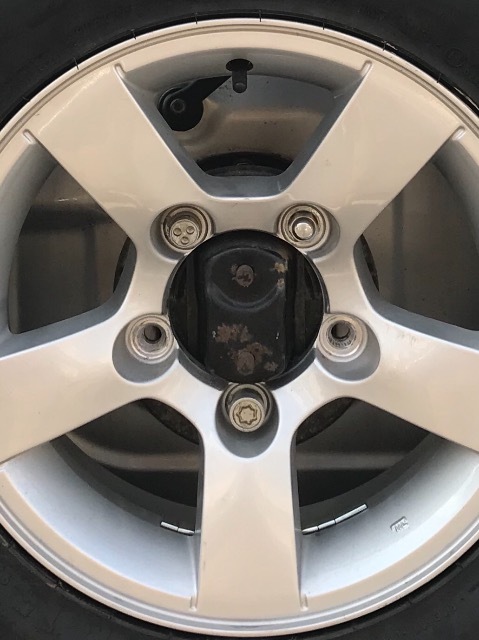 Just can’t figure out how the cover goes on to those two bolts? Tried to zoom, was not sure. I assume you have a long bolt or screw that holds the plastic cover to this. Not seen one fitted myself, so anyone?? Yeh I guess so!! Really need to see one taken off and apart to understand it before I buy one haha! It looks like it uses a wheel nut to hold it to the threaded portion of the mount. Replied by theoldseacaptain on topic Spare wheel middle cover. 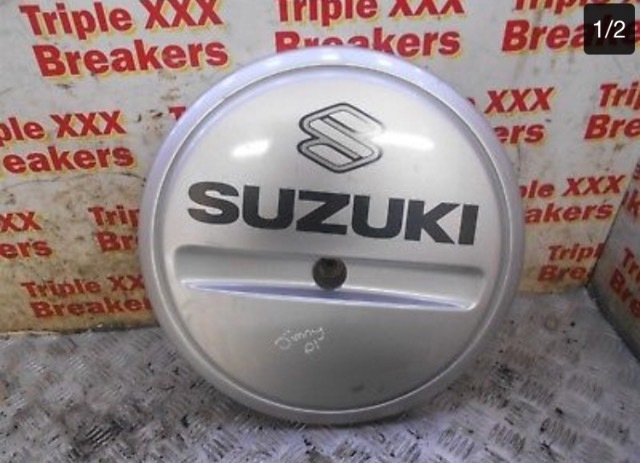 Replied by S200KYS on topic Spare wheel middle cover. Last edit: 11 Sep 2018 22:52 by S200KYS. Replied by yakuza on topic Spare wheel middle cover. You can pick up mine for free! just collects dust on the shelf in my garage.